Usually reserved for locals only, guests at Belmond Cadogan Hotel have access to Cadogan Place Gardens. The perfect place to unwind and refocus after a day exploring one of the world’s most vibrant, bustling cities. 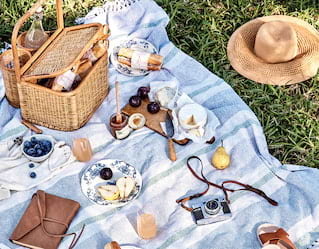 Whether you’re looking for a picnic lunch on the lawn or hoping to serve an ace in the tennis courts, the gardens will add some alfresco enchantment to your city break. An elegant garden featuring ornamental planting, sweeping lawns and tennis courts, Cadogan Place Gardens have remained relatively unchanged since it was laid out in 1886. 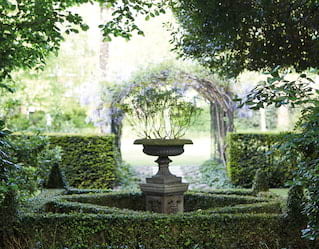 Today it also boasts a selection of impressive trees, adding to the sense of privacy and exclusivity. We’ll provide blankets, deck chairs and board games; all you have to do is sit back, and let the time slip by. Romance all the senses with an alfresco picnic in our gardens. Prepared by our expert chefs, you can expect a host of gourmet delights, personalised to your preference. We’ll set up a space for you in the garden, complete with plush blankets, cutlery and glasses. Originally known as the Apothecary’s Garden, the Chelsea Physic Garden was established in 1673 and is London’s oldest botanical garden. It’s an amazing space to explore with friends or family, home to some 5,000 different medicinal, herbal, edible and useful plants. For those looking for a more hands-on green-fingered experience, there are a variety of events and workshops held throughout the year.